Long handle, short handle, metal handle, rubber handle, fine tip, wide tip, needle tip, eek! 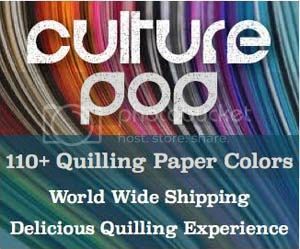 If you are looking at all the different paper quilling tools available and you want to know a little more about which one(s) to choose, read on! First I want to share the tools that I have and use, and then I will share a couple others that I have not (yet) used. Some of these tools I have had for more than 10 years. One of the tools is my very first and I have had for over 20 years!! Others are more recent acquirements. All are great and useful! B) This (along with the next tool) is the next quilling tool I bought, when I was in college over 10 years ago. It is the most comfortable tool to use as it has a long handle with a soft grip. If I am not needing that larger hole in the middle of my shapes, this is the tool I reach for! Many brands sell a similar tool. As far as I can tell, the quality is all quite similar, so choose based on the color you like, brand loyalty, etc. If you quill often, I definitely suggest a soft handled tool! E) For years I just used the basic slotted and needle quilling tools. When I needed tweezers I used an old pair of regular grooming tweezers with the diagonal end. I told myself I didn’t need to spend the money on special tweezers or scissors! However, at some point in the past few years when I was ordering paper I ordered a pair of these tweezers on a whim. And BOY did I kick myself for not ordering them sooner!!! It makes ALL the difference to have a fine tip pair of tweezers!! Holding shapes, placing shapes, etc. couldn’t be easier than with these. Whether you prefer straight tip or curved tip is up to you. I personally prefer curved as I can hold the tweezers more horizontally which is a more natural position for me rather than up and down. If you are quilling and don’t have a pair of fine tip tweezers handy, get one!! G) Fine tip slotted tool (find it here on Amazon). This tool is the latest in my collection. It is not a tool I often reach for since I am happy with my others. But it is comfortable with a long handle, and it makes a smaller hole in the middle of your quilled shapes. The tip is actually like a needle that has been cut off. My 6 year old daughter finds this tool fairly easy to use since she can easily slip the paper in. However, if you choose to have your children use this, please use under supervision only, as well as with any of the other tools!! If you are looking for any of these tools many are sold by different paper quilling and crafting stores. 1) Ultimate quilling tool. This tool is from Paplin, and it is quite unique! The tip is actually like a hollow tube with a slit down one side. So the paper goes into the tube, but not through to the other side. This is supposed to reduce the little tag in the middle of the quilling shapes. It comes with a bead to slip over the tip to help make roses. I haven’t tried it yet, but it looks as though it keeps the base of the rose at the right level. It also comes with a little disc you can slip onto the tip to make large solid discs more easily. I do plan on trying this tool and giving a personal review in the future. But if you are looking for a new tool to try, this could be it! 2) Double sided quilling tool with comfort grip . I used to sell this tool in my online shop, but never used it myself. It feels like it’d be very comfortable with the soft purple grip! I don’t know if the side you aren’t using would get in your way since I haven’t tried it yet. The needle side is short, so I don’t think it’d be too cumbersome. It’d make a great travel tool since you’d only have to bring one instead of two. It’d also make a great gift or a great first tool since you get two for the price of one! Those are all of the basic quilling tools. Of course there are the other tools that make quilling easier and more fun such as circle sizing templates, curling coaches, quilling combs, etc. But I’ll save those for another post! Hopefully this helped you out if you are looking at different tools and wondering which one to get. 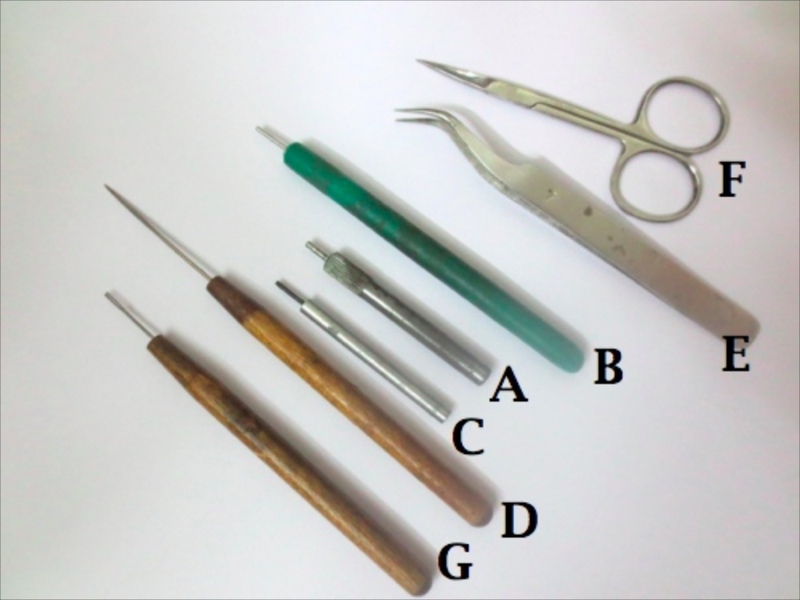 Which is your favorite quilling tool? *All supplies in this post I purchased on my own. PreviousQuilling Paper Strips – Buy Them or Cut Your Own? 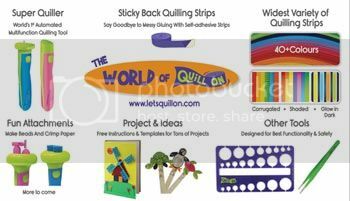 NextStart Paper Quilling for FREE! Hi Caroline 🙂 I haven’t done any videos yet, though I plan to. However, if you do a search on YouTube for paper quilling you will find some demonstrations there! I’d suggest starting with an easy grip slotted tool. Hi. I recently began quilting again. I purchased a Paplin work board with many really nice shapes, but I can’t figure out how to use it. I an making the shapes (hearts, squares, ovals) and then putting them into the shapers. That doesn’t seem right. Can you explain how to use the board? Otherwise I’ll just use the cork side. Boy, it sure seemed like a good tool when I bought it, but now I’m not so sure. Hi Paula – I actually don’t have one of those boards yet, it didn’t seem to be to be one of those necessary tools. I assume that like for the heart you’d have to create the heart, put it into the shape, and then adjust to make sure it is sized correctly and glue it. I think the only benefit is being able to make sure that each heart, square, etc. is the same size. I do find a circle sizing guide handy to make sure that each circle I make is the same size, but then I just pinch it myself. I do want to get one of those boards someday to see if maybe it IS useful, I’ll report on it when I do!